I made this the other night and it was a big hit! 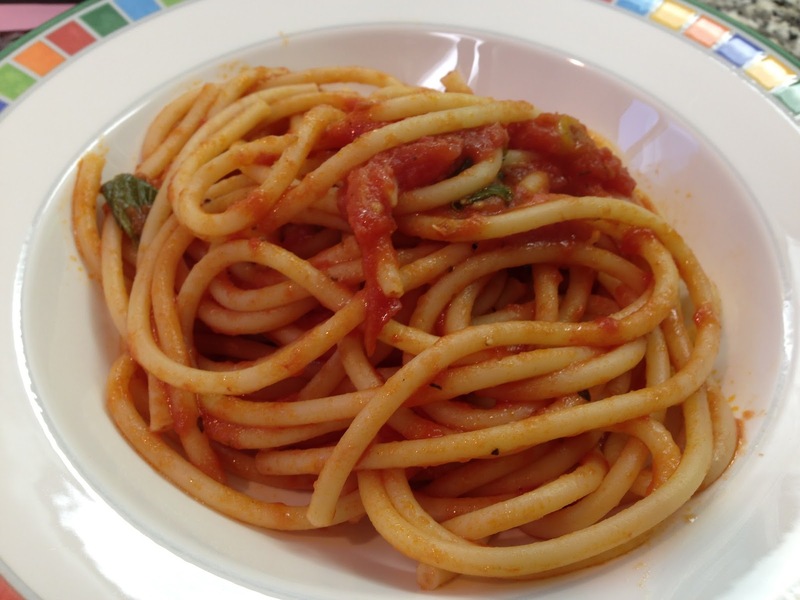 This is such an easy, healthy and yummy dinner the whole family will enjoy. There are only a few ingredients in this dish, but as my Italian husband said, "Italian cooking is simple. 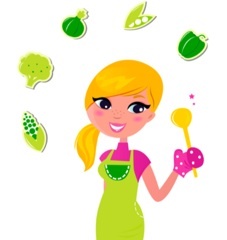 It's really all about using fresh ingredients and showcasing them." All of the ingredients besides the pasta and Italian tomatoes were from our local farmer's market (even the olive oil), and it made such a difference! This dish is for little one's ready for finger food and Mommies and Daddies of all ages. In a large deep skillet, heat the olive oil over medium high heat. Add sliced garlic and cook until fragrant (about 30 seconds). Add canned tomatoes and basil. Cook for 30 minutes (should turn into a sauce). Season with salt and pepper to taste. While tomatoes are cooking. Bring a large pot of salted water to boil. Add pasta and cook according to package. Drain pasta and add to skillet with sauce. Toss to coat. Serve and enjoy! I know it's been awhile, but life with a newborn and a toddler is pretty crazy! I literally have five minutes so let's get to it. 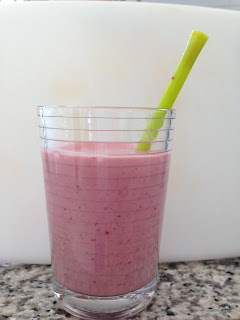 My son and I made this yummy smoothie for lunch today, while my 6 week old daughter was in her bouncy seat. This takes about 2 minutes to make (love that!). I made this in my magic bullet so each batch measured out to be about 2 child servings. 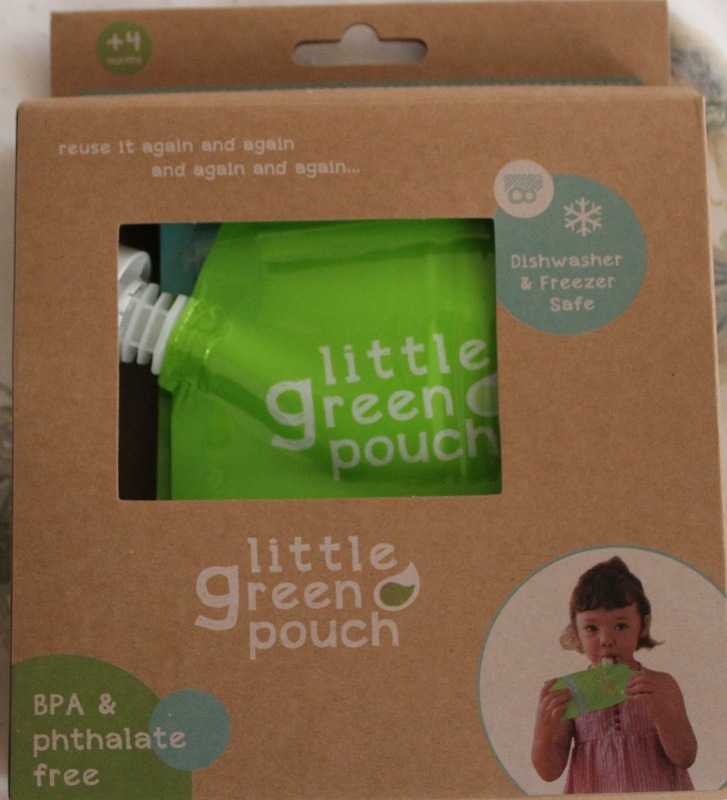 This is for little one's 12+ months and mommies and daddies of all ages! Put all ingredients into your blender and blend until smooth. Pour into cups and serve with a straw. Enjoy! My son was watching Curious George yesterday morning, and George and another character were baking carrot muffins for a bake sale in the episode. 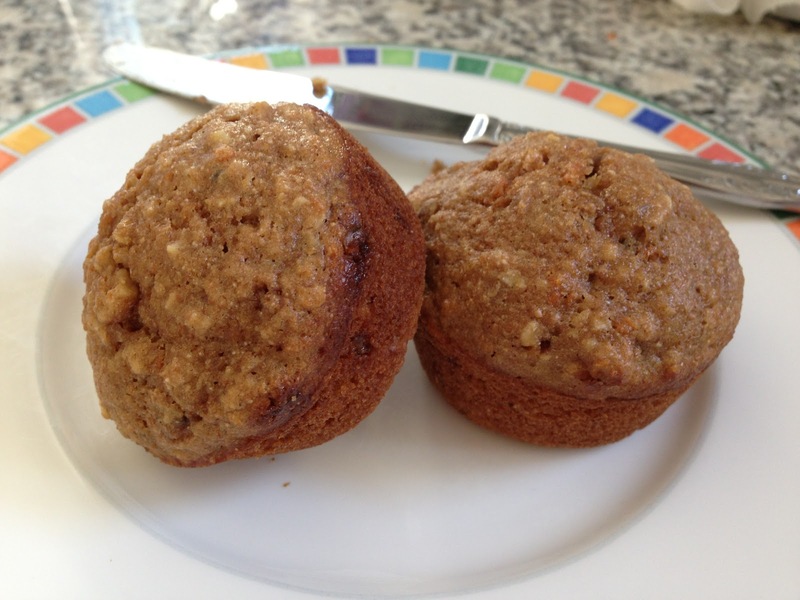 Of course as soon as it was over my son HAD to bake carrot muffins too. He went running into the kitchen asking me to follow him saying he had to get the ingredients out. So of course I followed. As he was getting the bowls and measuring cups out I quickly (like in 5 minutes) came up with this recipe. This is a yummy, healthy muffin that your whole family can enjoy starting at 12 months. Preheat oven to 350F. Mix all ingredients into a large mixing bowl until smooth. Spray a muffin pan with nonstick cooking oil. Spoon batter into each slot (about 2 spoonfuls). Bake for 17 minutes. Remove from oven and let cool. Serve and enjoy! My son and I made these ice pops the other day, which was a fun activity on its own, to enjoy on a rare San Francisco hot day like today. I bought ice pop trays at our local 5 and dime, but you can make these in baby food containers and eat like Italian ices, or stick a popsicle stick in a dixie cup to freeze. You can make this with really any fruit, we just used whatever we had in the fridge. We used oranges, strawberries, and blackberries. You can add vanilla yogurt to these too if you like (dairy is still not a friend of mine yet in this pregnancy so we left it out). 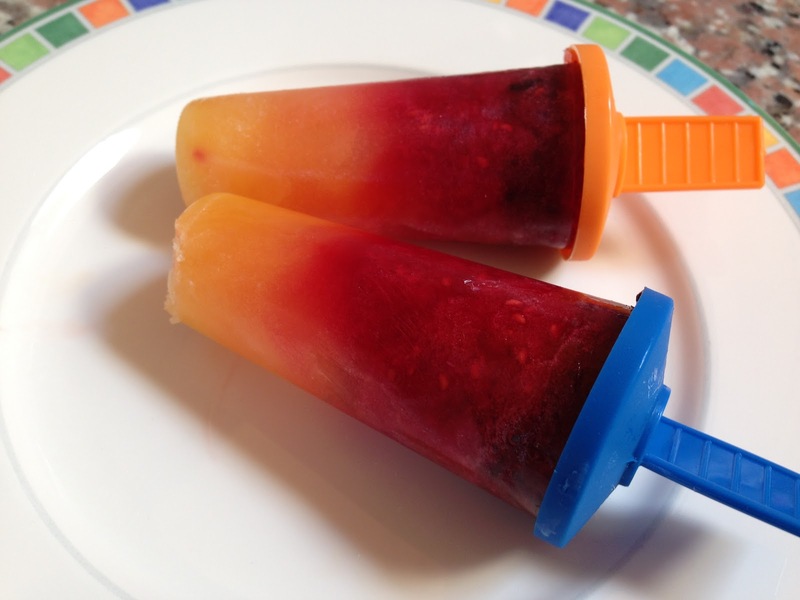 These ice pops are a great snack for you and your toddler (12+ months) to enjoy. Squeeze oranges into a bowl (or use a hand juicer, my son loved this) make sure to remove seeds from juice bowl. Set orange juice aside. Blend strawberries, 1/2 tbsp honey and a little water until smooth and set aside. Blend blackberries, 1/2 tbsp honey and a little water and set aside. You should have 3 separate bowls of juice. Using a ladle, spoon, or you could pour straight from bowl, begin to layer the juices into ice pop containers until they are full. 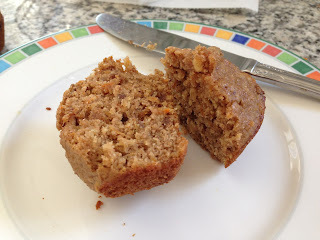 Place in freezer until frozen (we left ours in over night), and then enjoy! If you are planning on using vanilla yogurt leave out the honey, you don't want them to be too sweet. I've been cooking up lots of comfort food since it's been so cold lately. 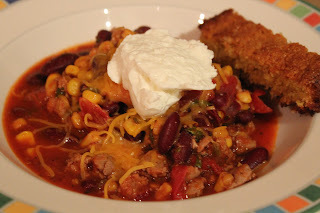 This is one of those meals that will warm you up from the inside out on a cold fall or winter night. This chili is full of flavor and healthy, yummy goodness for the whole family. Not to mention it takes about 20 minutes from start to finish! This is for little ones 10+ months who are ready for finger food and Mommies and Daddies of all ages. Heat 2 tsp olive oil in a large deep skillet over medium high heat. Add garlic and cook for 1 minute. Add ground turkey and cook until browned (about 5 minutes). Add kidney beans, diced tomatoes, corn, chopped spinach, tomato sauce, chili powder, cumin, Italian seasoning, onion powder and stir. Season with salt and pepper to taste. Bring chili to a boil, stirring frequently. Cook for 5 more minutes. Let cool, and then serve in bowls and top with shredded cheddar cheese, and a dollop of plain greek yogurt. I also served corn bread on the side. Test your little one's portion on your lower lip to make sure it is not too hot. Enjoy! 1 comment per entry, winner will be selected randomly, contest ends Friday 11/9 at midnight. Winner will be contacted through FB private message. Good Luck! *This is not a sponsored post. I genuinely LOVE this product and just wanted to share it with all of you!